Dental implant abroad: Why is it a good idea? *For US readers: What makes these clinics an ideal option for you? The country’s favorable geographic location, their significantly lower prices and the quality of their work which is equal to or above the level of the Western dentistry. Why are you in good hands in a Hungarian clinic? How can you choose a reliable dental service abroad? Hungary is not only a safe country with Western qualities in the heart of Europe, it is famous for its excellent dental training as well. For more than a century, Hungarian schools and training centers have been producing highly qualified dentists and dental surgeons. The same goes for implantologists and aesthetic dentistry experts over the last decades. 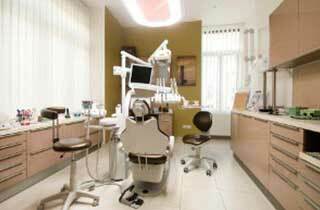 Hungary has been able to maintain its leading position in dental tourism for decades. This is due to the excellent work done by the Hungarian dental experts. Besides Hungary ahs full-service larger clinics that undertake complex interventions. Patients seeking dental care abroad – both from Europe and other countries in the world – choose Hungary proportionally most frequently. Because they have world-class equipment and the best resources. But there is an additional factor that makes you feel as safe in a Hungarian clinic as in your home country. This is the human factor; that is, Hungarian dental experts themselves. We have already mentioned their high-level training. There are several other reasons explaining the great number of good dentists in Hungary and of the dental experts per capita. Why is Hungary one of the most popular destinations for receiving ten thousands of patients from abroad? How can Hugary provide them with outstanding service? Because of her full-service dental clinics, with an efficient and well-organized operational scale, prepared to perform the most complex surgical interventions. You can safely rely on experts working at such dental clinics when it comes to the health of your teeth and your health overall. Instead of individual doctors, these clinics employ complete teams. Each team member has great expertise and more than ten years of experience in a given field. These teams can tackle every problem, even in the case of more complicated surgical interventions, implantations and other types of treatment. Highly qualified teams are the safeguard for dealing quickly, calmly and professionally with any problem or unexpected situation that may occur during the intervention. This way the patient feels completely safe and unworried about their health. These clinics, with their economically efficient size and excellent equipment can afford the best tools and materials. When it comes to implants, for instance, they can apply the leading manufacturers’ products for half the price offered by the Western countries. Choose a safe country in your geographic proximity. You will feel more at home if this country has a Western culture. For your dental treatment make sure this country has a great prestige in the field of foreign patient treatment. One of such countries is Hungary, the leader in dental tourism. Within the country, choose a full-service clinic that undertakes examination and treatment of all types of dental problems. These should include surgeries requiring general anesthesia. Choose a clinic that has already been on the market for at least five but preferably ten years. This longer operational time may well be a guarantee for their reliability and high standards. Ask for quotes from clinics only if their operation is transparent. Trust clinics with a neat and informative website describing their services and prices. It is important that you have the opportunity to get to know the medical team of the clinic when you look at their website. You should see their photos, read about their professional career and progress that they have made in their respective fields. It is also essential that the team members be helpful when it comes to verbal or written communication; that they answer your questions in a friendly and detailed way. If a team is hasty, hesitating or rushing, it should be a warning sign for you to consider looking for another clinic. You might prefer a dental clinic abroad that provides a guarantee already in their advert – their website – for the service they provide and the materials they use. We have a well-established system of receiving and treating our patients. After your enquiry for a quote, we send it to you within 24 hours along with your detailed treatment plan. We discuss further details with the patient in a conference call, in the presence of a specialist doctor if necessary. First we give you all the information about the applicable methods and the materials that will be used. Once we have agreed on all the details, we set a mutually convenient date for the intervention. Your personal assistant then starts organizing your trip to Hungary. They find the cheapest flight tickets for you. They also send you a list of recommended partner hotels located near the clinic. We finalize the date of your treatment when the booking of your flight and accommodation is complete. Upon arrival, our driver will meet you to take you to your accommodation or to the clinic, according to your prior arrangements. This service is free of charge for our patients. Of course, our clinic provides the same service for their transportation back to the airport or the railway station at the end of their stay. Our surgeons and experts then perform the intervention on the previously agreed date. In the case of a dental implant you will need a recovery period following the implantation of the artificial root or a possible bone replacement. The you will make another visit to our clinic. During this visit, we insert the implants – crowns and bridges, as planned previously. We will of course provide help and assistance with your trip similarly to the first intervention. Our clinics, ACE Dental Clinic in the elite district of Budapest, Sopron Dental Clinic near the Austrian border and Dental Vienna Clinic in Vienna look forward to welcoming you with their services. We are happy to assist our patients from abroad. We provide them significantly lower prices, full-service clinics and well-trained teams of experts. You can obtain a quote via telephone, e-mail or by filling the form available on our website.